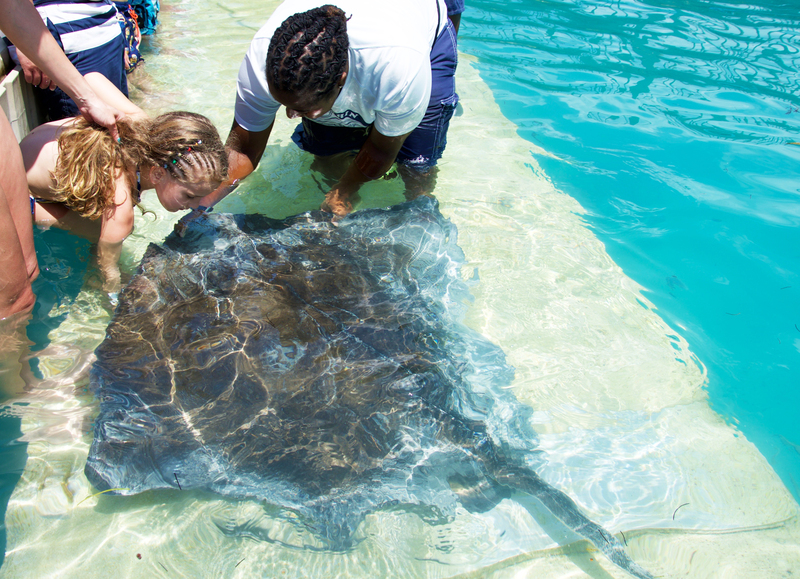 Rays the roof with a new animal experience at Blue Lagoon Island, home of Dolphin Encounters in the Bahamas! Our certified animal trainers will first teach you about the natural history of the gentle South-ern stingray in a fun, dockside briefing. 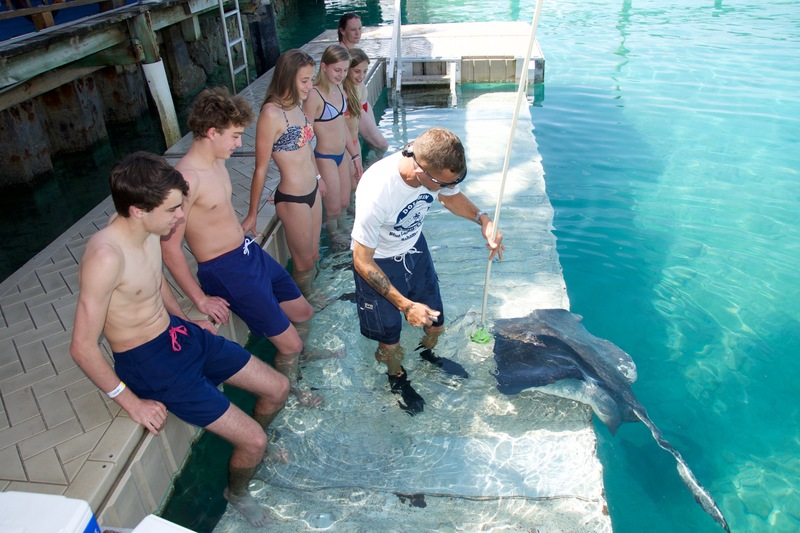 During your program, you will be able to safely interact with our Stingrays on a shallow platform. Feel their silky smooth fins as they glide under your fingertips, even getting a chance to feed one, if you are daring. These graceful animals are fascinating to watch from above the water but even more exciting to see while snorkeling with them! 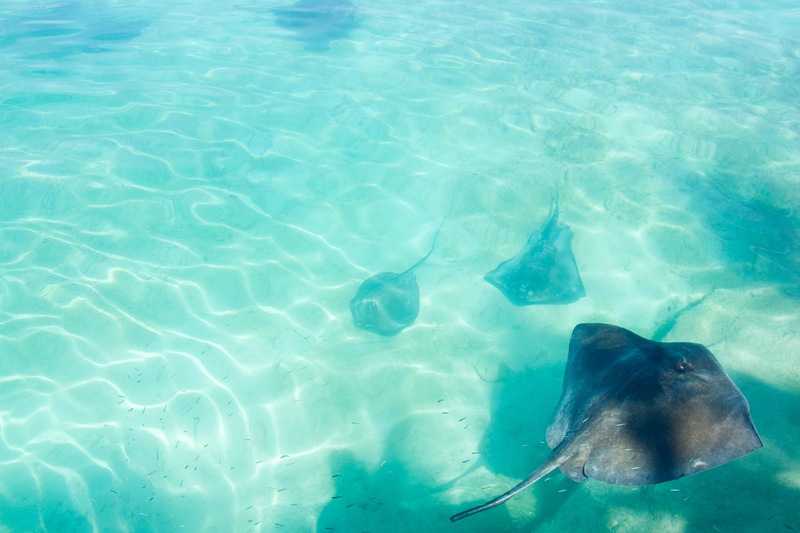 You are certain to soak up this experience with stingrays and "rays your awareness" for the protection of these beautiful creatures of the sea. A photographer will be present to capture photos of your experience which can be purchased at our professional photo lab on Blue Lagoon Island after your program. 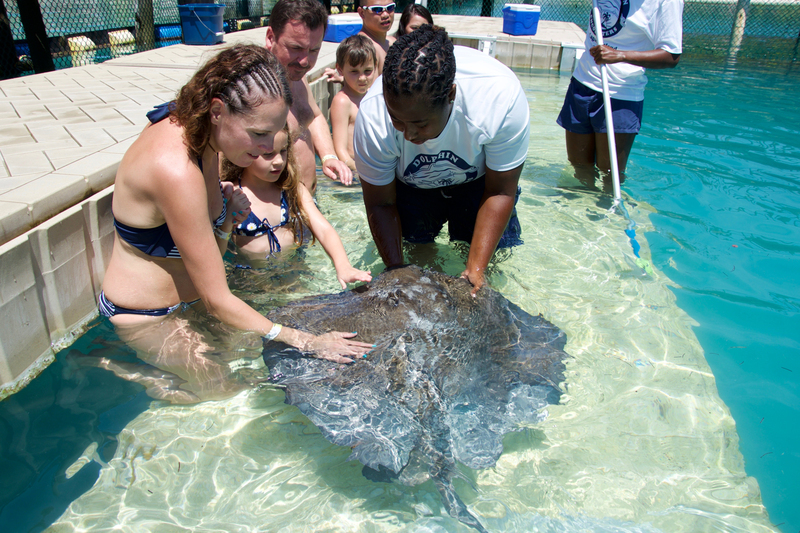 Guests under age 4 are not allowed to participate in the Stingray Encounter & Snorkel Program. Guests ages 4 to 12 must be accompanied by a responsible, participating, paying adult with a Stingray Encounter & Snorkel Program ticket. Guests 13-17 must have a responsible parent or guardian over the age of 18 available to observe the session from the dock. Guests must be able to swim in deep water if participating in the snorkel. Pregnant women are allowed to participate in this prograom. Guests with special needs may participate if accompanied by an adult with a paid ticket. A signed waiver is not required for this activity. Cameras are prohibited on platforms, in water or on ex-hibits. All other Dolphin Encounters program policies apply to the Sea Lion Program.